I think you're right, Murees. The animals are better off in captivity where they're safe and well cared for. Thanks for showing us the pictures, too. Congratulations on all your editing work. I know your efforts will make your story shine. Thank you Deanie. I'm glad you enjoyed the pictures. So glad you had a wonderful day. I agree, the animals were rescued from horrible circumstances. I had a wonderful visit to South Africa a few years ago. 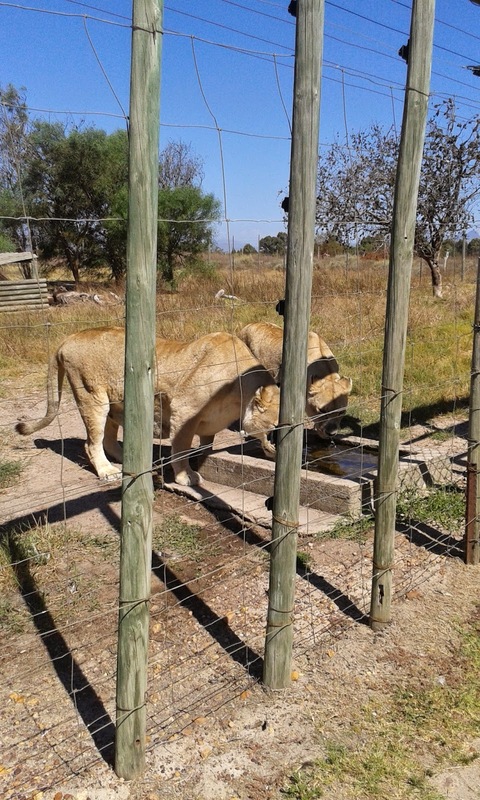 The reserve we went to was awesome and I did get to see the Big Five. It is great to hear that you had a good time when you were here. I have yet to see all the big five up close and personal. Yeay! I love hearing about good days, especially when you bring LIONS into it! I want to come visit you in south Africa, I'm not going to lie. While I didn't assume that you constantly had wild animals roaming around the streets, I have been curious about how often you see them. South Africa will be happy to have you. I live in the Western Cape, almost in suburbia and don't get to see many wild animals in their element, mostly birds. But I can't speak for the other parts of South Africa. Certain farms have cheetahs roaming wild, so I guess they get to see lots of wildlife. How marvellous that you finally completed the editing! Well done! Thank you! It is such a relief to get to this stage. Raising them for sport - that's so wrong. People asking if you have lions roaming the streets is like asking if we have mountain lions and bears digging through our garbage cans. Although it is possible, especially in areas where cities are encroaching on the wild, it doesn't happen here. I'm not a big fan of hunting anything for sport, unless it's cake. People do get attacked by lions, but that's because they enter the reserves and game farms illegally.Totally their own fault. It's so sad that some of the animals are raised to be killed. Heartbreaking that so many have suffered and need to be in a safe facility. I agree Janie. Sometimes I really wish we could all get along. If you could see the eyes of those lions and chimpanzees you would feel like crying. They just want to find some kind of peace. Free is best but protected is sometimes necessary. Congratulations on finishing that editing. Thank you! I am happy to have gotten it to this stage. It's good to know that those animals were rescued; it always warms my heart to hear about good people who save, protect, and take good care of animals, especially the ones who need it most. It also bothers me when other people hunt animals not for survival or even to control overpopulation but merely for sport, though I know that some (though not necessarily all) hunters would probably take issue with me just for saying that. I know what you mean. I'm expecting a few hate-mails for even mentioning canning and for hating the idea of hunting for fun. But having seen animals hunted has scarred me for life. Thank you for your kind words. Congratulations on finishing the novel. Congrats on completing the editing! It's a huge hurdle, so pat yourself on the back, my friend. Thank you! I feel so nervous though. 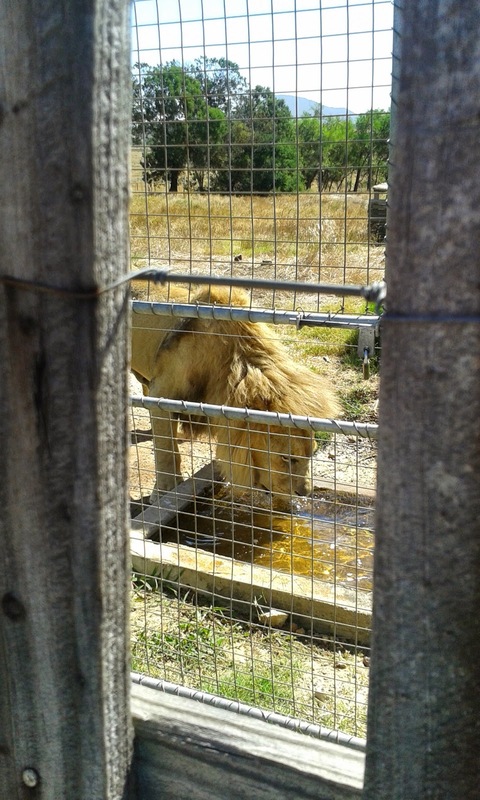 It's heartbreaking to think what kinds of situations those beautiful creatures must've been in to end up in captivity, but I'm so glad that they got to be saved - I met a girl from South Africa once, and her family owns a lion/big cat sanctuary, and she loved talking about her 'cubs'! And I loved hearing about them! Congrats on finishing your editing :D! That really is fantastic news! I wish you all the luck in the world with the next part of your journey!! Thank you! It is a relief, but I am really scared too. Congratulations on finishing that! I love sanctuaries. We have a couple near here, where the animals were rescued from such cruelty (and often just ignorance). We have a lot of wild animals around here, like mountain lions, bears, coyotes, and bobcats. Plus deer and rabbits and the ones we see everywhere in the area. I love having wildlife so close. Not so much the rattlesnakes. I agree, there is something comforting about being near sanctuaries. I can go back and visit the animals over and over. I'm sorry, but I hate snakes. They freak me out. I would run screaming.